Save 10% when you purchase 4 sessions. Rates apply to Reiki treatments that can be used in conjunction with massage. Holly's Healing Hands Massage uses only organic, scent and chemical free oils. 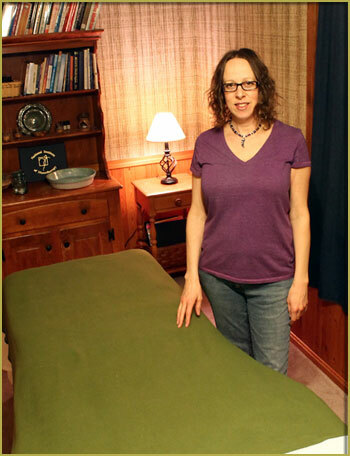 Holly Legan is a Board Certified Licensed Massage Therapist and Reiki Practitioner. She attended the National Institute of Massotherapy in Akron, Ohio and received Usui Shiki Ryoho Reiki Certification in 2014. With offices in Twinsburg and Ravenna, Ohio, Holly is able to provide her therapeutic massage to more people in need of relaxation and pain relief. Her objective is to improve a person's quality of life by relieving their acute and chronic pain as well as stress relief through customized therapeutic massage therapy and wellness education. Holly's company slogan; Well Being begins here, reflects her belief that your health and healing is dependant on the mind, body, and spirit connection. Her Holistic approach takes into account the structural, physical, and emotional well being of an individual in order to get effective treatment of a condition. Treatments consists of balancing and assisting the body to heal itself by seeking out and eliminating the underlying cause(s) of the problem. Holly's Healing Hands is more then just massage, it's self-care.